It’s all about waging war and settling scores in this week’s Glee episode “Feud”. 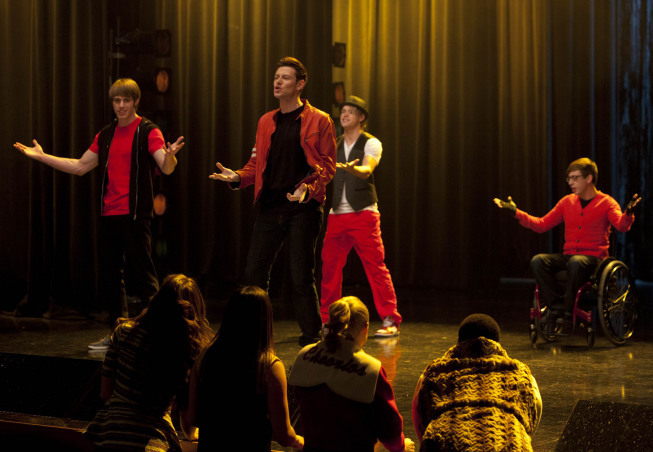 In order to ease the tension between Finn and Will–which developed after Finn unwisely revealed that he kissed Emma–The New Directions kids take over, as they assign “Epic Musical Feuds” to their leaders, hoping to broker peace at McKinley High. Rachel and Brody have a romantic face off with “How To Be a Heartbreaker.” Is Rachel finally becoming suspicious of Brody’s shady behavior? Are they on the verge of a split? Is Brody about to become a baby daddy? So many questions, that this little duet will likely NOT answer. Sue wants Blaine back on the Cheerios. She wants him bad. So bad, that she challenges him to an American Idol themed vocal duel! Mariah (Blaine) and Nicki (Sue) go head to head and I would not assume that the charismatic New Directions lead singer wins the fight. Sue Sylvester in a pink Nicki wig would beat just about anything or anyone, I imagine. SUPERBASS. There’s more Idol judge action as Santana sings Paula Abdul’s “Cold Hearted.” I love me some Naya Rivera, but I’m not crazy about this generic musical arrangement. Not that it’s even a very good song to begin with. Sorry Pauler. I’m not sure why Ryder and Unique are facing off, but they do, enacting that classic feud between those lovable old divas, Elton John and Madonna. Lady Gaga needs to mediate! And the show closes with Ryder and Jake dueting on the sublime new song “Closer,” from the Canadian duo, Tegan and Sarah. It’s actually pretty good, and I was not expecting that. Glee Season 4 Spoilers “Feud” Episode 16 Details! 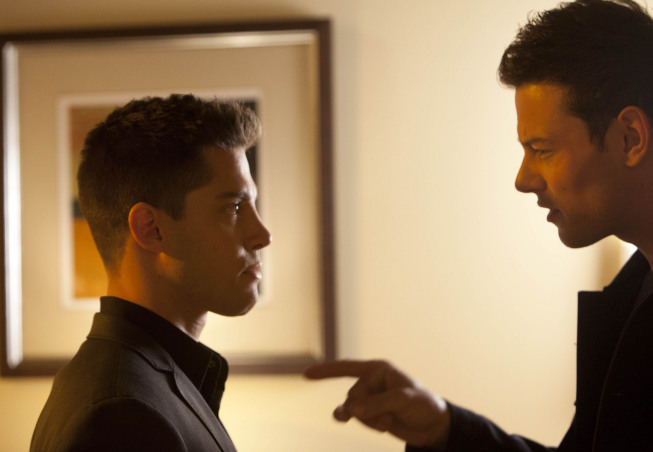 Glee Season 4 Spoilers “Guilty Pleasures” Episode 17 Details! Next American Idol 12 – Behind The Scenes of the Top 10 Photo Shoot!